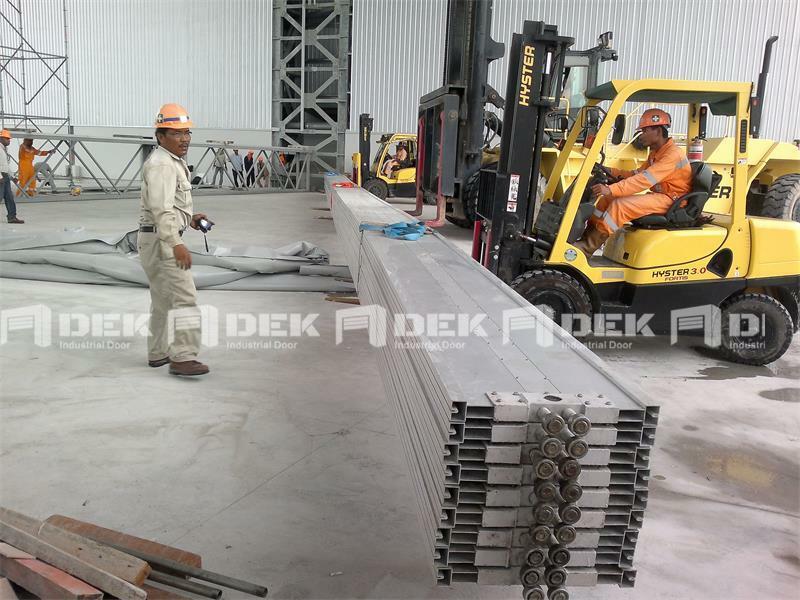 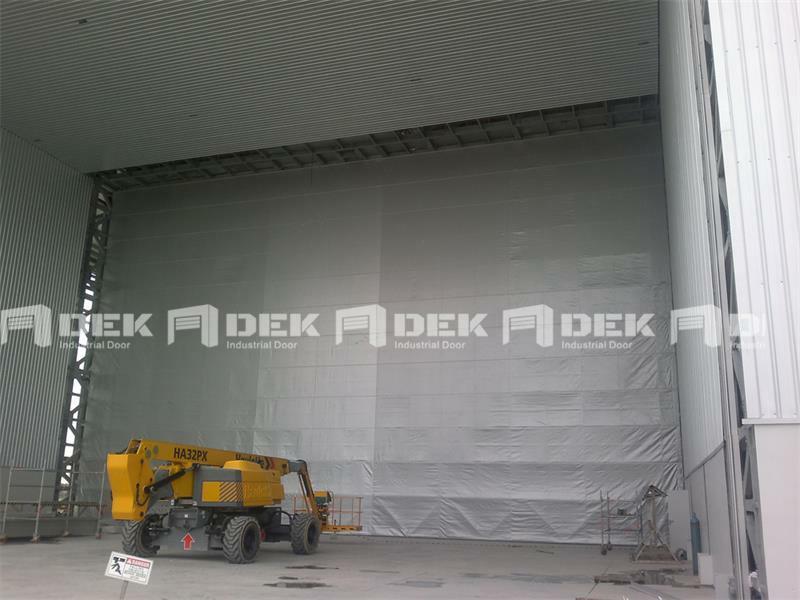 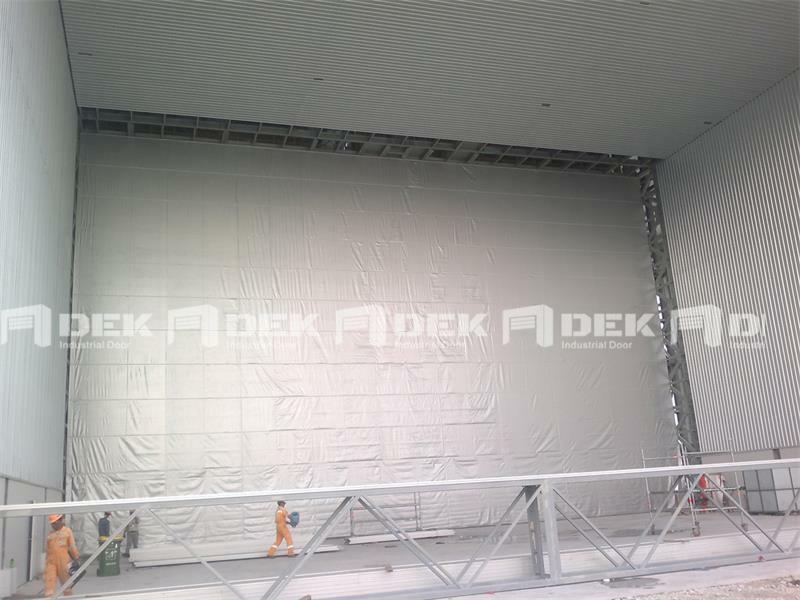 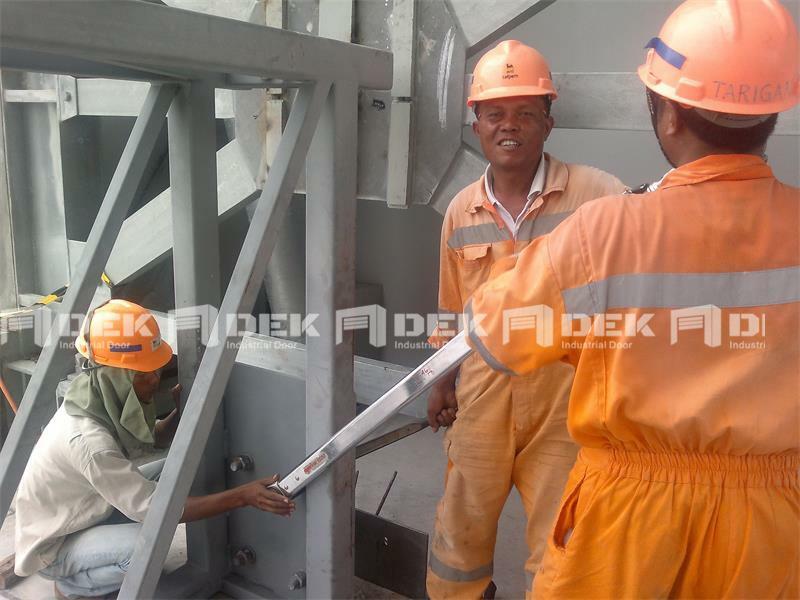 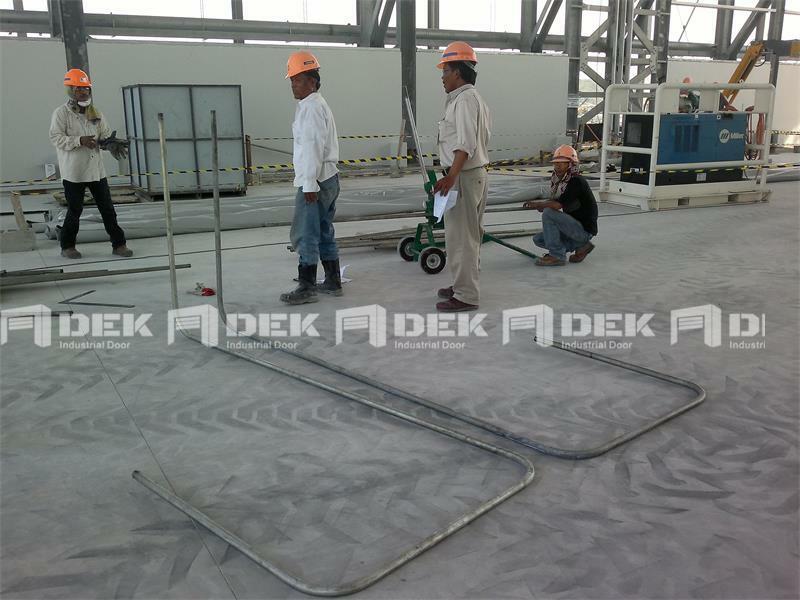 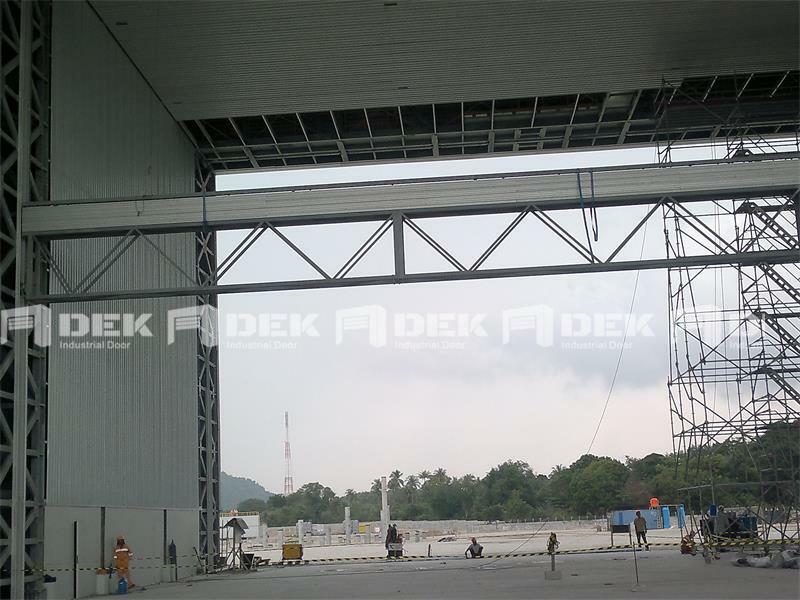 Used for a abrasive blasting & paint spraying workshop of KARIMUN Shipyard Airport, which was finished by DEK, including design, production and shipping. 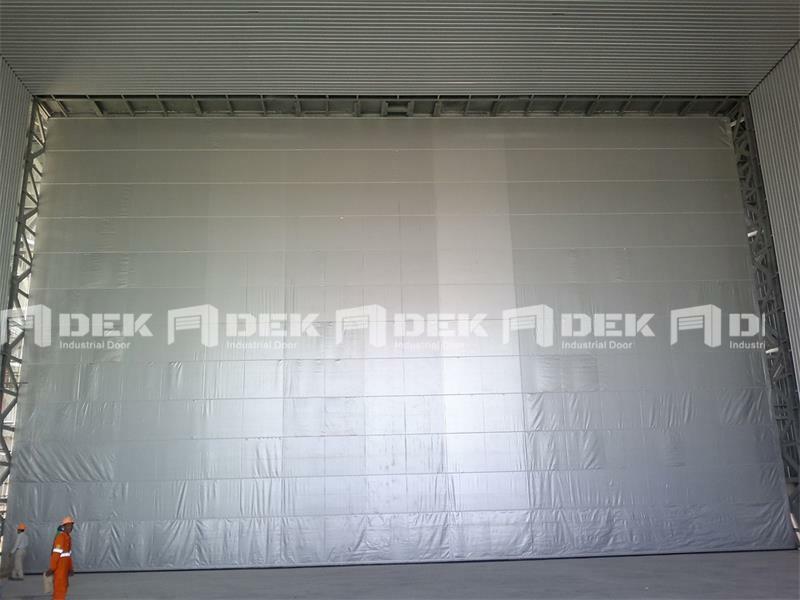 Clear height is 15 meter, while width is 28 meter for this one leaf door, total 3 sets in quantity. 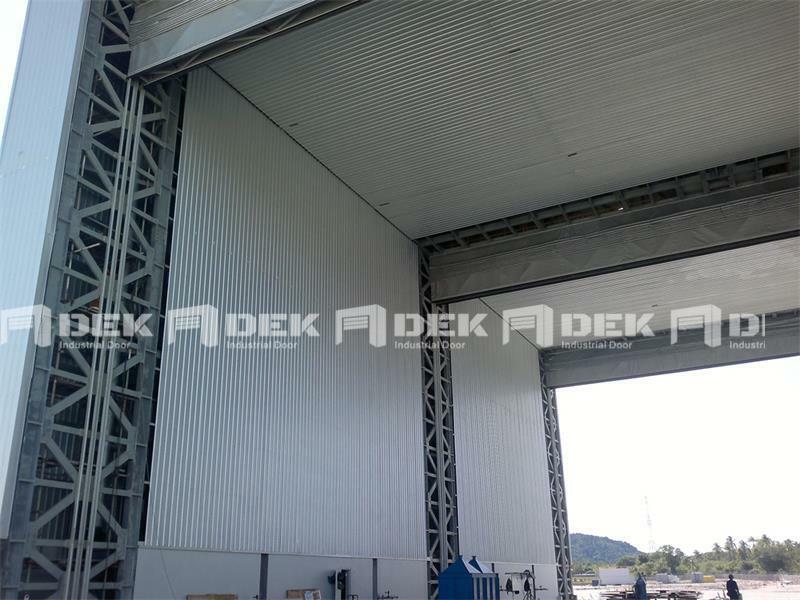 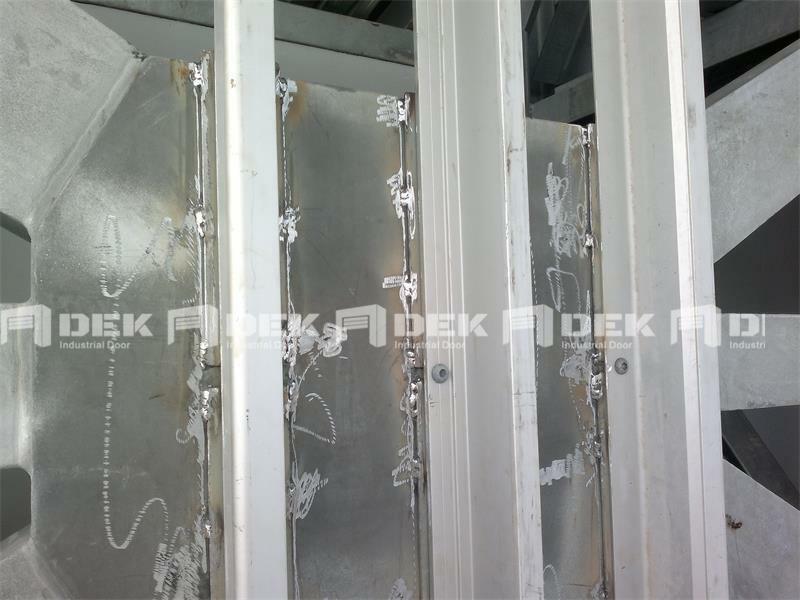 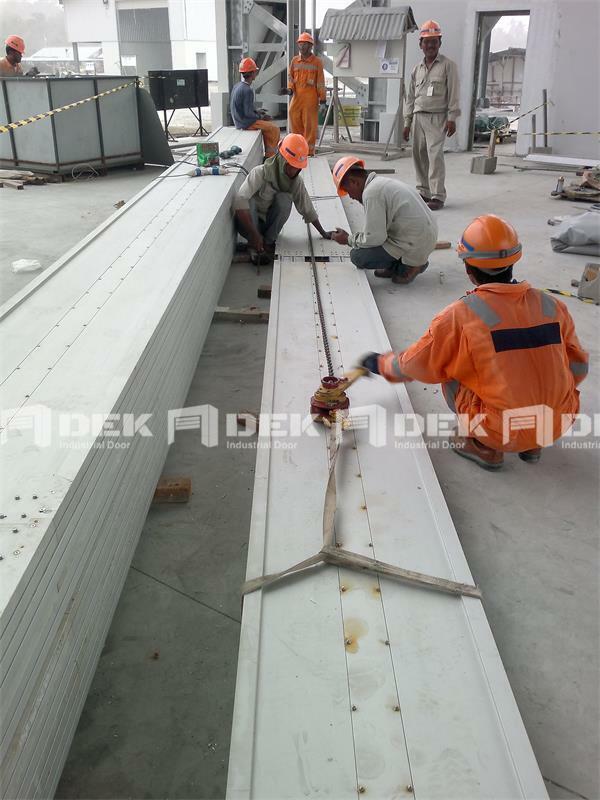 Fabric lifting door consists of wind rib, bottom beam, high strength fabric and guide pulley, which equipped with aluminum alloy tracks and sealing parts on bottom beam and two sides posts. 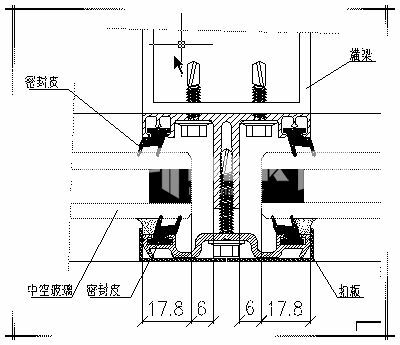 Wind load of the door is 812.5N/m², wind speed is 130km/h. 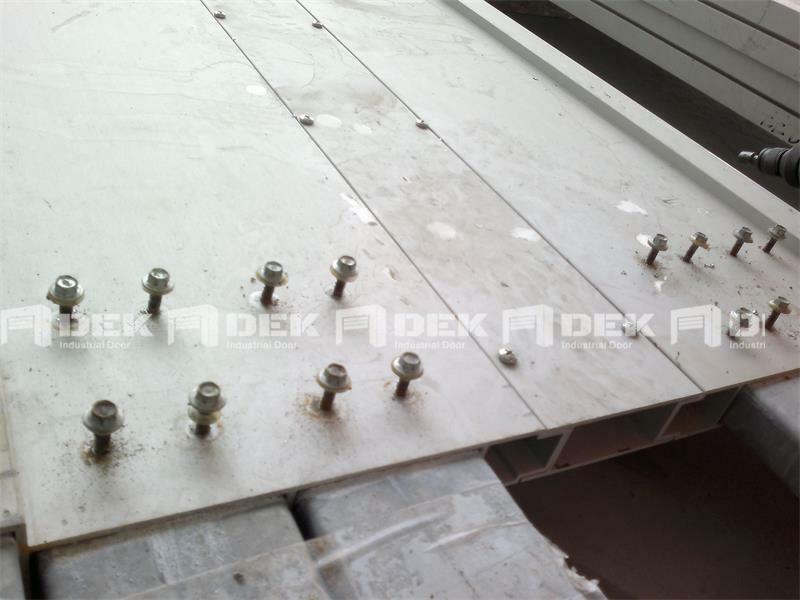 Width of bottom beam frame is 600mm, while its height is 1700mm. 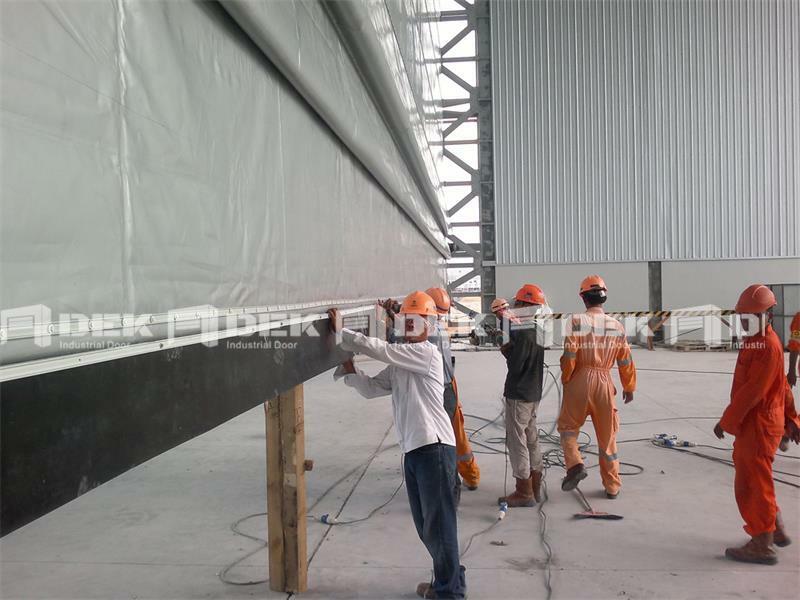 Wind rid is aluminum alloy material, which is 600mm width and 60mm height, and 1500mm spacing height. 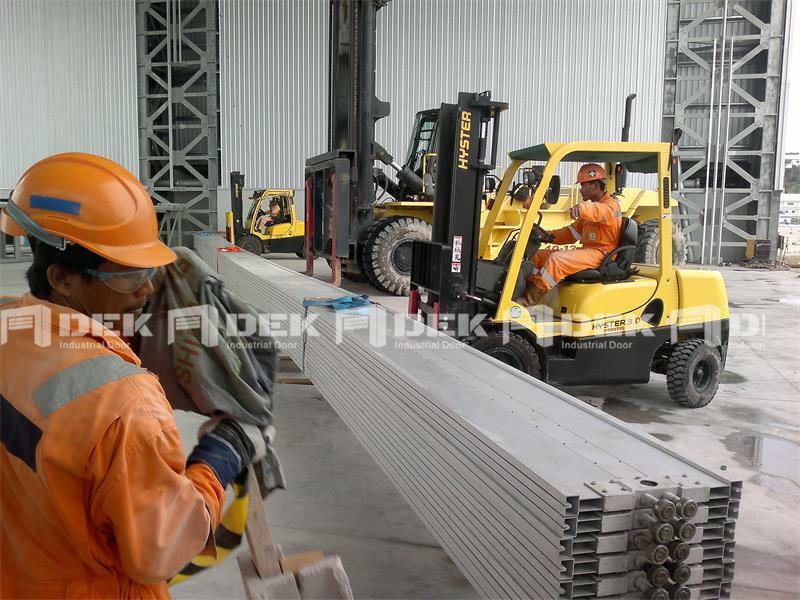 10 tons is its operating lifting weight.